This article is a reflection originated by the recent demise of the "Oil Drum" website. Some people have taken this event as a demonstration that the concept of peak oil is dead and buried. But the situation is much more complex: peak oil is a fertile concept; it provides a complete worldview that sheds plenty of light on everything that's happening in the world. 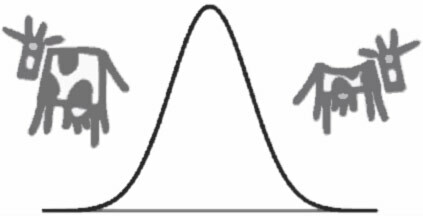 Those who don't understand the bell curve are condemned to follow it. We live in a world where scientific evidence is trashed by ideological opinion, where people who learn from experience are accused of being flip-floppers, where changing one's mind on the basis of new data is seen as admitting one's lack of moral fiber. The debate on peak oil is no exception and the recent demise of "The Oil Drum" site has been often seen as an admission that the whole idea of peak oil was wrong from the beginning. But what is happening exactly with peak oil and why so much fuss about it? The problem may be simply that the idea had too much success. Let's go back to 1998, when Colin Campbell and Jean Laherrere raised up again a problem that had been first noticed by Marion King Hubbert, in 1956. Oil depletion, Campbell and Laherrere surmised, will be gradual: production will go through a symmetric “bell shaped” curve that will show a peak when, approximately, half of the available resources will have been used up. According to this study, the peak, that Campbell later dubbed “peak oil,” would have occurred around 2005. The pioneering work by Cambell and Laherrere gave rise to a whole scientific field that used similar methods to study oil depletion. Most of these these studies arrived to the conclusion that troubles with oil would start within the first decade of the 21st century, or perhaps a little later. It was a view of the future in stark contrast with the generally optimistic attitude of the oil industry up to recent times. Just as an example, in 1999 "The Economist" published an article titled "Drowning in Oil" predicting oil at under 10 dollars per barrel. But the predictions based on the peak oil concept turned out to be spectacularly successful, at least within the unavoidable uncertainties involved. Oil production stopped its growth in 2004 and oil prices spiked up to almost 150 dollars per barrel in 2008; about a factor of 5 higher than the price that was considered normal in the early years of the decade (and more than 15 times higher than the 1999 predictions of “The Economist”). Today, oil prices remain high; in the range of 100 dollars per barrel. We aren't seeing a production decline, but certainly we are seeing evidence of serious problems for the oil industry to maintain production at constant levels. As things stand, it seems impossible that we could return to the stable growth trends and the relatively low prices that were the rule until about 10 years ago. So, “peakers” won their bet with cornucopians. The predicted troubles have materialized and peakers were also able to approximately identify the timing of the crisis. But, not everything is well in the world of peak oil. The elegant and symmetric “bell shaped” curve at the basis of most peak oil models did not appear for the global production data. What we are seeing, instead, is a plateau or, at most, a slow increase, in large part generated by the use of the so-called “non-conventional resources”, from biofuels to shale oil. The expected decline is not appearing; at least for the time being. What happened? 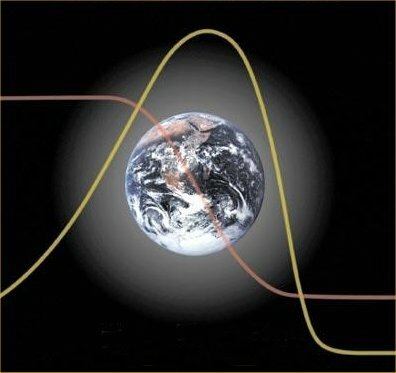 For one thing, models are never universal and the peak oil one is no exception. The symmetric production curve has been observed in many historical cases where a declining resource was smoothly replaced by a different, and more abundant one, as in the case of the switch from whale oil to crude oil as lamp fuel in 19th century. Hubbert had predicted something similar in 1956 for global oil production assuming that nuclear energy would smoothly replace crude oil as the world's main energy source. In that case, the oil production curve would have been probably symmetric but, obviously, that didn't happen. Substitution of crude oil with different resources was far from being smooth; actually it was strongly resisted in all sectors of society. What happened, instead, was that large amounts of financial resources were invested into the exploitation of everything that could possibly be drilled, fracked, smashed, squeezed, boiled, or otherwise processed in order to get a few drops of precious, combustible liquids, and that is what has avoided decline, up to now. But this result has come at a high price; higher than anyone could have imagined. One problem is that all this tremendous effort is simply postponing the unavoidable. When decline will start, it may well be much faster than its “natural” rate along the bell shaped curve. This faster decline can be termed the “Seneca effect,” from the name of an ancient Roman philosopher who noted that all things tend to grow slowly, but to decline rapidly. The Seneca effect is far from being the main problem generated by oil depletion. The real trouble is rapidly emerging in terms of accelerating climate change, with all the costs and dangers involved. We are seeing today the conclusion of a debate that had started with the beginning of the peak oil movement. Is peak oil more important than climate change? And, is peak oil going to save us from catastrophic climate change by forcing us to burn less fuels? Initially, the hope was that, yes, peak oil would have saved us willy-nilly from destroying our own planet. Unfortunately, however, it is starting to appear clear that this hope was misplaced. The impending peak is actually worsening the climate problem because it has led the industry to exploit less efficient, and hence more polluting, resources. Given this situation, peak oil is starting to appear more and more just as a blip in the path to the climate catastrophe. No wonder that people are losing interest in the concept! Curiously, it seems that peakers were not doomerish enough in their views of the future!